THE FULL REFLEX WING FOR INTERMEDIATE AND ADVANCED PILOTS! The Billy is targeting a wide audience; from certified to competition pilots, as well as those who enjoy relaxed local flying. Inflating it is surprisingly easy, and so is taking off. Particularly playful and buffered, its speed and performance are remarkable ! 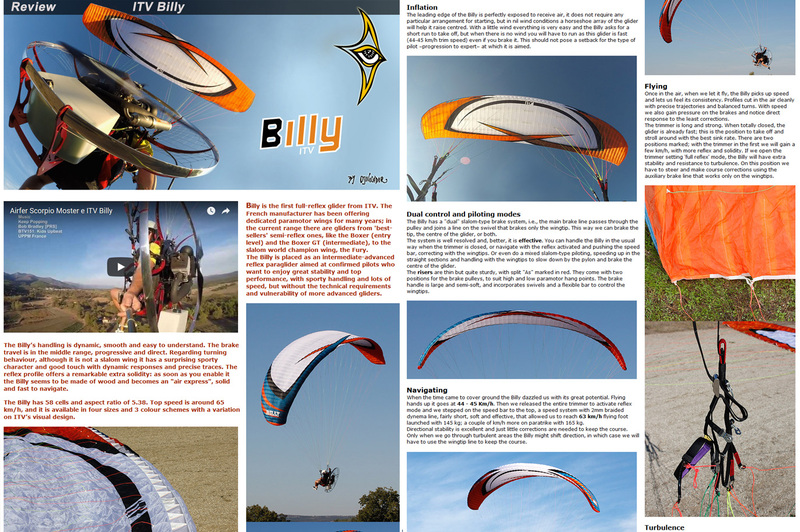 All the latest technological advances were used to develop the BILLY, such as 3D shaping (I3D), reflex profile (IPR), optimized weight, reduced line layout, reinforced structure (IRS), (TST), optimized risers (12 mm), and the offset bridle “Ear” kit.